As you arrive at the airport (Chennai), one of our trained representatives will assist you to reach one of the pre booked hotels. Your journey becomes comfortable right from the very first moment as you will escorted in AC car. Get ready for that unprecedented warmth whereby you get enthralled by traditional Indian welcome by the female staff of the hotel. Have breakfast in your room and relax before starting our city tour next day. Overnight at the hotel. As we finish our breakfast, we move on for Chennai sightseeing tour. We make you visit Fort St. George of 1639, St. Mary’s Church, and Museum & Wellesley House. You also earn an opportunity to witness the San Thome Cathedral, one of the sacred places meant especially for the Catholic Christians. We also make you explore the Museums representing the collection of Chola bronze & stone sculptures belonging to the Deccan era. We later take you to Mahabalipuram, revered as a World Heritage site. We include prominent places such as Arjuna’s Penance, Shore Temple, Five Rathasshrine, which are recognized for their antiquity going back to the reign of King Mahendravarman. Later on, we take you the temple town ‘Kanchipuram’, located on the Palar River, which is recognized for its gorgeous temples & silk sarees. Overnight stay is planned in one of the hotels of Mahabalipuram. As we finish our breakfast, we embark on journey towards Tanjore. We also make sure to visit Pondicherry, Raj Niwas, Sacred Heart Church and Sri Aurobindo Ashram. As we continue to Tanjore, we also check into a pre-booked hotel. Thereafter, we also proceed to witness the Royal Brahadeeswara Temple, Nandi (Bull) and the Royal Palace complex. Overnight stay will be at the hotel only. As we finish our breakfast at the hotel, we embark on half day sightseeing tour of Tanjore. 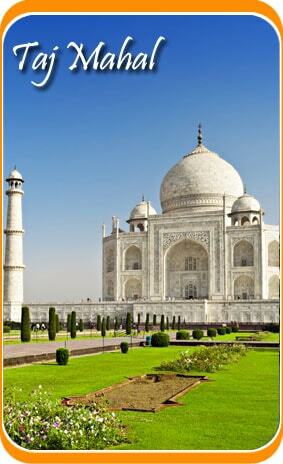 We make you witness the famous attractions and proceed to Trichy thereafter. The sightseeing tour will include Lord Robert Clive’s House as well along with other attractions including 1Srirangam Temple, Rock-Fort Temple and Ganapati Temple. On the arrival, we make you check into the hotel for overnight stay. As we finish our breakfast, we embark on our journey towards the famous Rock Fort Temple. Thereafter, we proceed to Madurai. As this itinerary is specially designed by Travelsite India considering the South India Temple tour, we make you visit one of the major temples - Meenakshiamman Temple. Upon the arrival, one of our representatives helps you to transfer you to the pre booked hotel. You can spend the day exploring the beautiful temple and witness its intricate art work and designs. You will also visit the Thirumalai Nayak’s Palace and Gandhi Museum. Overnight stay will be at the hotel only. This is the day when we, after finishing our breakfast, begin our journey in leisure. In fact, the day trip to visit Rameshwaram/Kodaikanal. One of the fascinating hill stations, it proudly stands amidst sylvan beauty on the southern crest of the upper Palani Hills. Going back to its history, we find that it has been founded by one of the American Missionaries in the year 1845. With its beautiful rocks, woods, lovely lake and bracing air, the atmosphere become charged like never before. As Kodaikanal is an ideal hill destination, its beauty is indomitable. You will enjoy its every bit. Overnight at the hotel. After Morning breakfast you visit to Periyar Wildlife Sanctuary. Set on an attractive lakeside, it is South India’s most popular Wildlife Sanctuary. It is a place to cruise on the lake & gives an opportunity to see wildlife. It is home to tigers, leopards, elephants, bison, antelopes, sambhar, wild boar, monkey, a wide variety of birds. After lunch you will take safari to a nearby Coffee Plantations & villages. On arrival at Periyar, you will be transferred to your pre-booked Deluxe hotel. At sun rise we take a boat ride to view wildlife in the sanctuary on Lake Periyar. After two hours of wildlife viewing we get back to the hotel for breakfast. Disembark at Kumarakom. Afternoon you will proceed for Kumarakom, is known for Backwaters, huge Vembanad Lake & the famous Kumarakom Bird Sanctuary. There are two seasons for birds: between October & February there are cormorants, teals, & other ducks & from February to July there are darters (snake birds), night herons, egrets, & Siberian storks. It also has golden backed woodpecker, crow pheasant, white-breasted water hen, tree pie etc. Stay Overnight at hotel. In the morning complete you breakfast and board the houseboat, locally called Kettuvallam, cruise around beautiful backwaters of Kumarakom to Alleppey to observe & experience the daily life of the villagers along the backwaters. Overnight Stay at the Houseboat. After morning breakfast, drive to Marari, Start your day relaxing on the pristine beach of Marari, shinning with incessant waves, which will slide the sand beneath your feet and the incandescent sunshine that will touch your soul. With a complete relaxing intention, you can indulge in some water sports or simply lay on sand for healing sunbath. Overnight at the hotel. After breakfast full day is at Leisure, enjoy the facilities at the beach resort, overnight stay at the resort. Today we disembark the boat at Alleppey. Later drive to Cochin, one of the finest natural harbours on the Arabian coastline. Its cosmopolitan character is reflected in the buildings & structures representing different regions of the world. Overnight Stay at the Hotel. Today we visit Jew Town, Synagogue, Spice Market, Chinese Fishing Nets, (Cheenavala) are distinctly unique to Cochin. It is believed that traders from the court of the Chinese ruler Kublai Khan introduced these nets here. In the evening see Kerala’s most popular classical dance, Kathakali. Overnight stay at the Hotel. As you finish your breakfast, we take you to Kovalam and on arrival, stay for overnight in your pre-booked hotel. This day is especially dedicated for visiting the stunning Padmanabhapuram Palace. As this place is recognized for its marvellous sunset & moon rise over the ocean simultaneously, it is one of the most beautiful sights one could ever see. Kovalam beach is recognized for its tag of "Paradise of the South". In fact, it is equal to a dreamland, revered for the tourists all over the world. In fact, Kovalam was introduced to the public by the Maharaja of Travancore. If we look back to the past three decades, we find that it has well developed and figures prominently on the world tourism map. You will simply love its warm and clean atmosphere as it is projected by the coconut trees and the white sand bed are perfect for relaxing holidays. Overnight stay at the Hotel. Check out from the hotel, depart as per schedule to the Airport at Trivandrum for your Return journey. 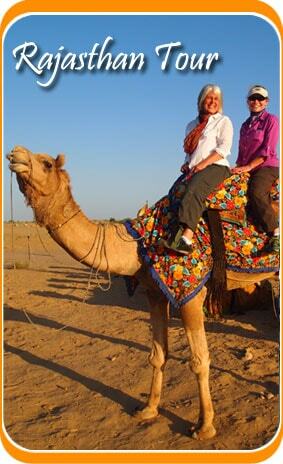 Your 16 Days South India Beaches & Temple Tour ends here..